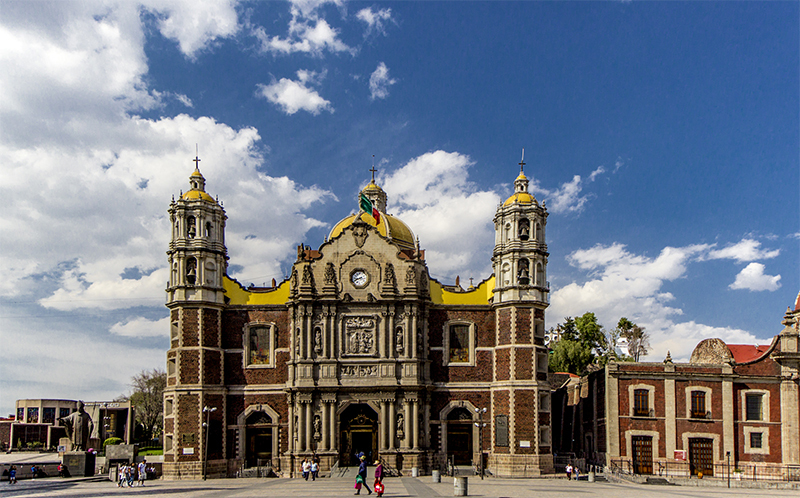 This cathedral is the Basilica de Guadalupe in Mexico City. Officially known as the “Templo Expiatorio a Cristo Rey,” the first structure of the old basilica was begun in 1695 and it was not finished until 1709. Much of Mexico City was built on a former lake. This cathedral is sinking. You can’t tell from this picture but it is leaning a few degrees forward. To the left of this picture, there is a new Basicila, a modern building. I did not care for the new building. It felt sterile. It lacked the character of this timeless structure.